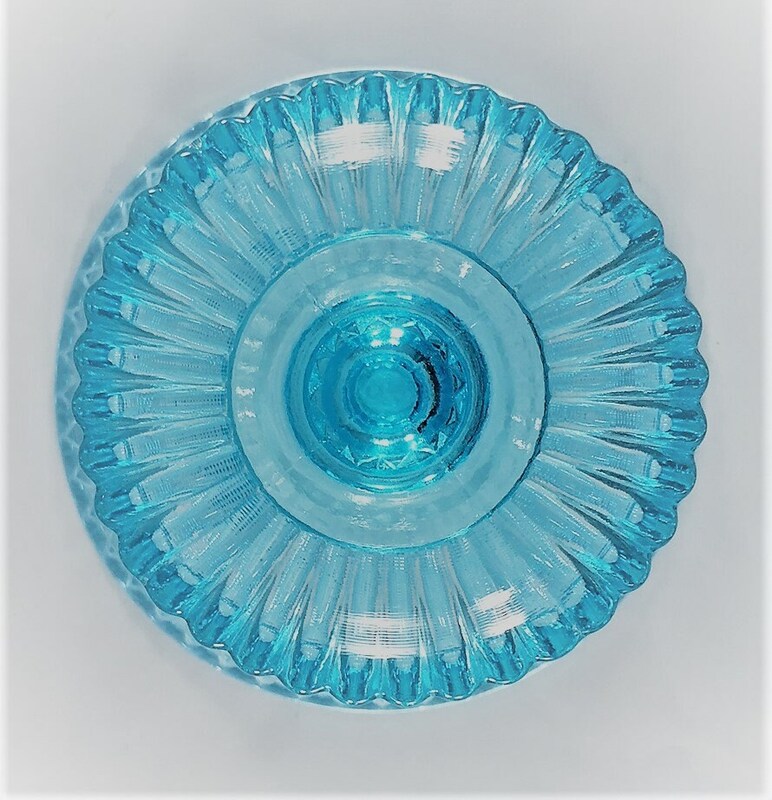 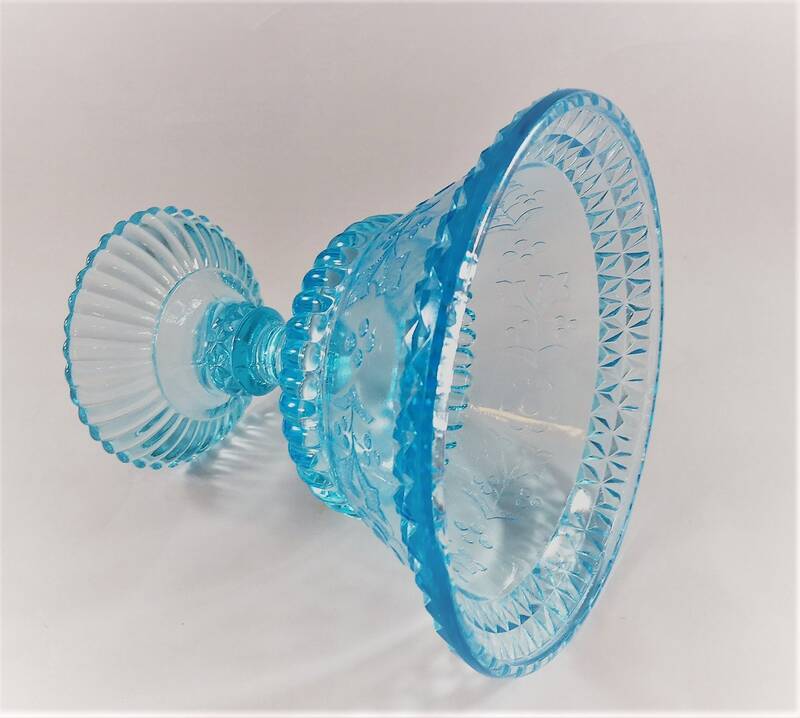 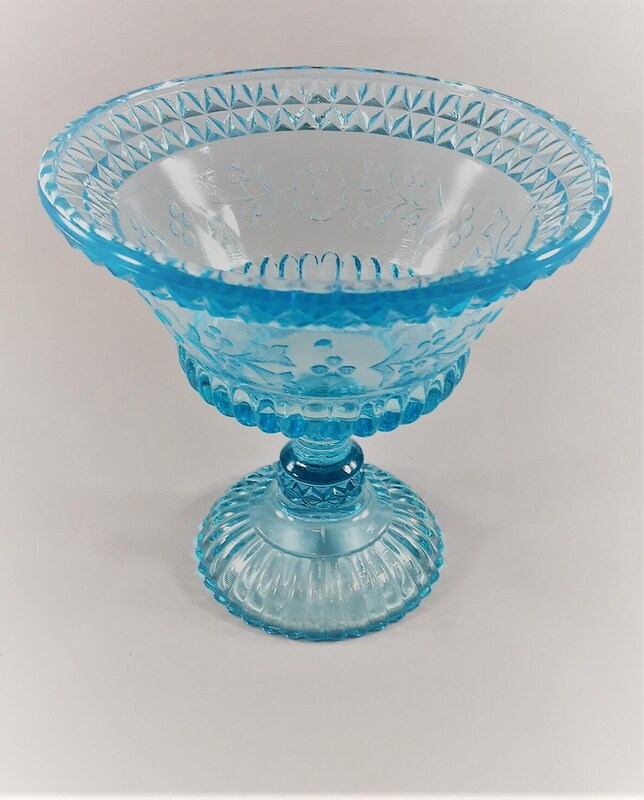 Featured is a beautiful piece of Early American Pattern Glass from Adams and Company. 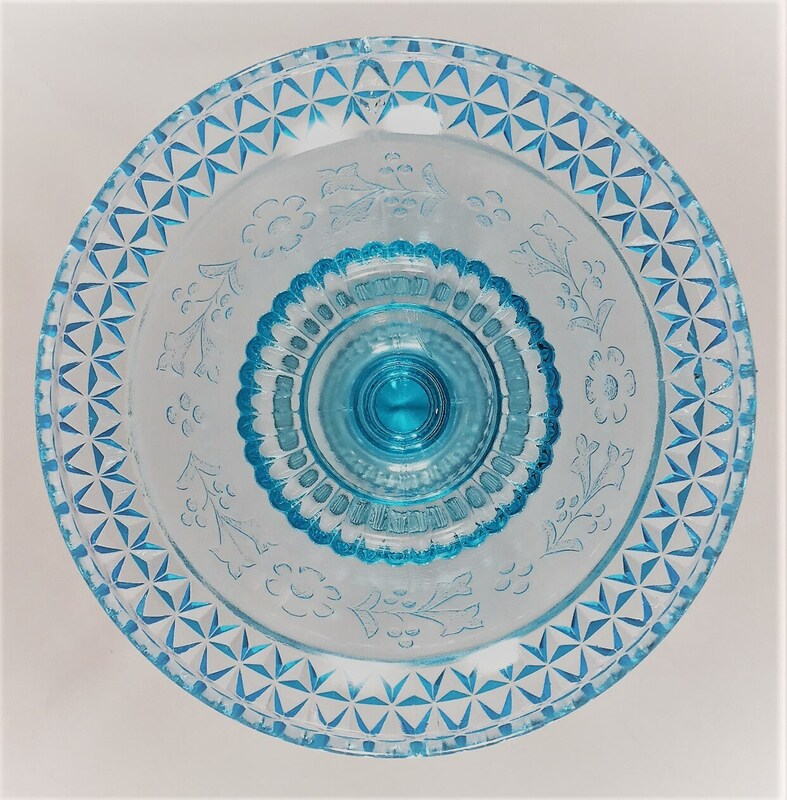 It's in their very popular Wildflower pattern. 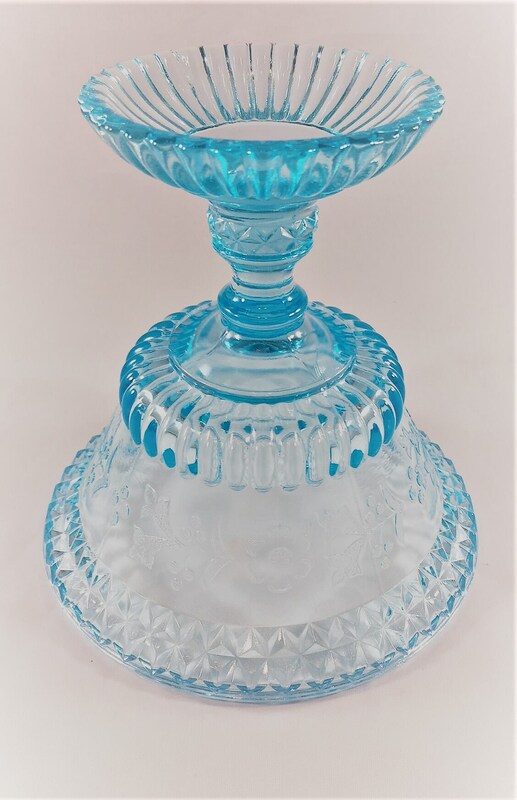 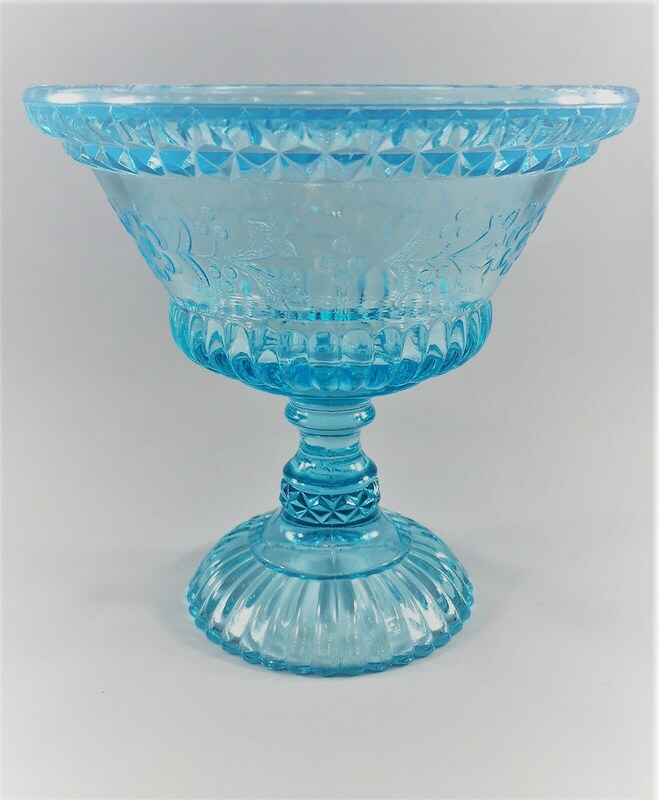 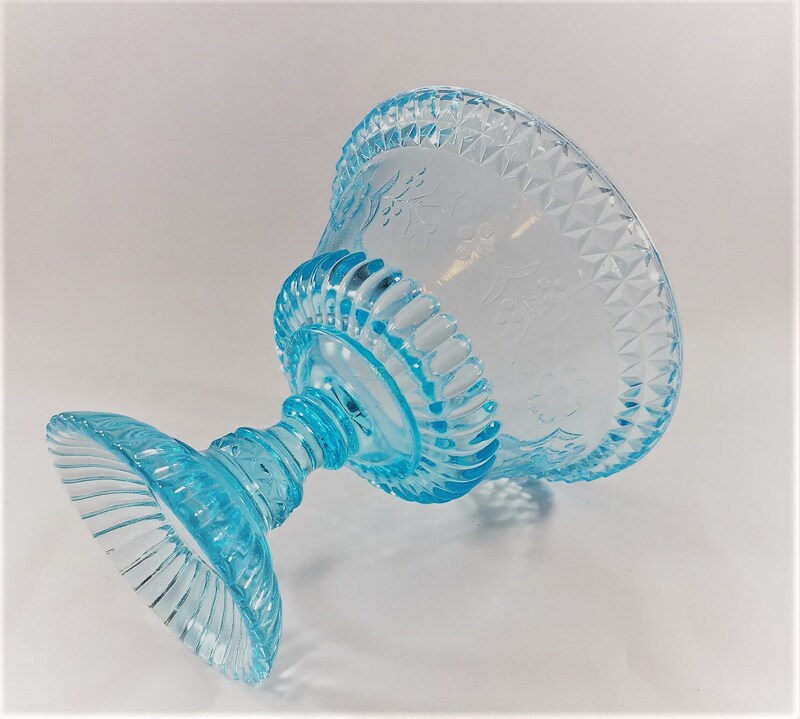 This stunning compote measures about 5 3/4 inches tall, 6 inches in diameter at the rim, It's a wonderful azure blue and in excellent condition, free from any chips or cracks.